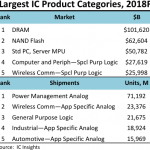 Due to rising demand for OLED displays in smartphones and high-end flat panel TVs, panel manufacturers are making bigger investments in new OLED display fab construction, according to market research firm IHS Markit. 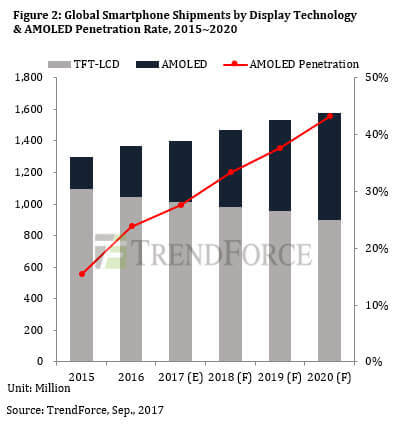 This investment is expected to increase global production capacity of AMOLED panels -- including both red-green-blue (RGB) OLED and white OLED (WOLED) – by 320 percent from 11.9 million square meters in 2017 to 50.1 million square meters in 2022. The IHS Markit Display Supply Demand & Equipment Tracker report forecasts a production capacity increase from 8.9 million square meters in 2017 to 31.9 million square meters in 2022 for RGB OLED displays. 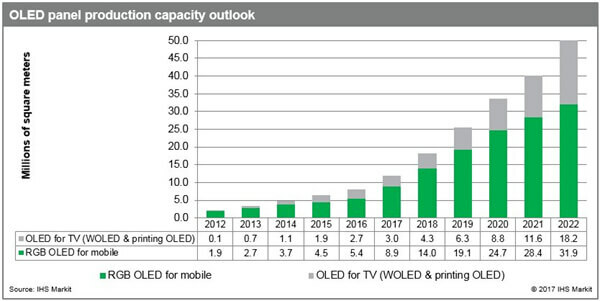 OLED capacity for TVs, primarily WOLED but including printing OLED, will grow from 3.0 million square meters in 2017 to 18.2 million square meters in 2022. Where is the added capacity? Market leaders Samsung Display is planning to focus on RGB OLED panels for mobile devices, while LG Display will focus on WOLED displays for TVs. However, LG has started to manufacture RGB OLED panels this year, said IHS Markit. Samsung Display is expected to remain the top supplier of RGB OLED panels for smartphones, increasing capacity from 7.7 million square meters in 2017 to 16.6 million square meters in 2022, according to IHS Markit. Target customers are Samsung Electronics for the Galaxy phones and Apple’s iPhone. The global production volume of iPhone devices is forecast to reach about 227.5 million units in 2017, growing 5.6 percent, according to market research firm TrendForce. “The introduction of an AMOLED iPhone will help expedite the AMOLED adoption in the smartphone market,” according to TrendForce. The researcher estimates that about 43 percent of smartphones shipped worldwide in 2020 will feature the AMOLED display. Fan expected the larger Chinese panel suppliers – BOE Technology and Tianma – to begin trial production of their AMOLED panel fabs in the second half of 2017. ChinaDaily.com reported last week that BOE started mass production of its AMOLED displays ahead of schedule at its Chengu, Sichuan fab. The displays were delivered to more than 10 smartphone manufacturers including Huawei, OPPO, Vivo, Xiami, ZTE and Nubia. 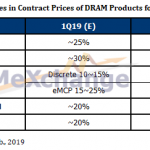 As part of China’s big push into the semiconductor industry, Chinese panel makers also are making big investments in RGB OLED production for smartphones, but their production capacity will be much lower than Samsung Display, according to IHS Markit’s analysis. Players, including BOE, ChinaStar, Tianma, Visionox, EverDisplay, Truly and Royole, are expanding the production capacity of RGB OLED panels, targeting the mobile market. Because of their lower capacity, Chinese makers will focus on Chinese smartphone makers including Huawei, Xiaomi, Vivo, Oppo, Meizu, Lenovo and ZTE, and white box makers, said IHS. 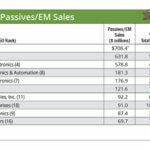 However, South Korea’s panel makers are expected to lose significant market share to Chinese manufacturers by 2022. IHS forecasts South Korea’s estimated 93 percent share of the global AMOLED production capacity in 2017 will drop to 71 percent in 2022. “Chinese players (BOE, ChinaStar, Tianma, Visionox, EverDisplay and Royole) will account for 26 percent in 2022, up from five percent in 2017,” said IHS. 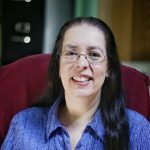 “It takes more than $11.5 billion to build a Gen 6 flexible OLED factory with a capacity of 90,000 substrate sheets per month, and this is a much larger investment required than building a Gen 10.5 TFT LCD fab with the same capacity,” said David Hsieh, senior director at IHS Markit, in a statement. Hsieh said the “strong expansion of RGB OLED capacity in China” is a threat to South Korean makers. But South Korean manufacturers have high capacity fabs with high efficiencies compared to China’s relatively small OLED fabs across multiple regions and companies, he continued. 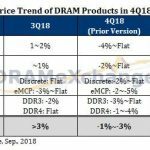 Chinese panel makers will likely build more AMOLED panel fabs in the near term despite several technological barriers, according to WitsView’s Fan. “Costs will not be a significant issue for them because the domestic market has plenty of capital and the government supports the development of new display technologies,” he said. Revenue opportunities from AMOLED is only one emerging segment that the Chinese IC industry is focused on. 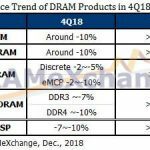 It is also looking at biometric sensors and dual-lens cameras, along with boosting its domestic market for processors and memory components. 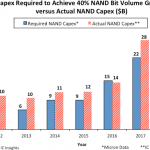 “Developments in China’s IC industry is driven by import substitution demand, government policies, major funding sources and innovative applications for semiconductor technologies,” said Jeter Teo, research director of TrendForce, in a statement.